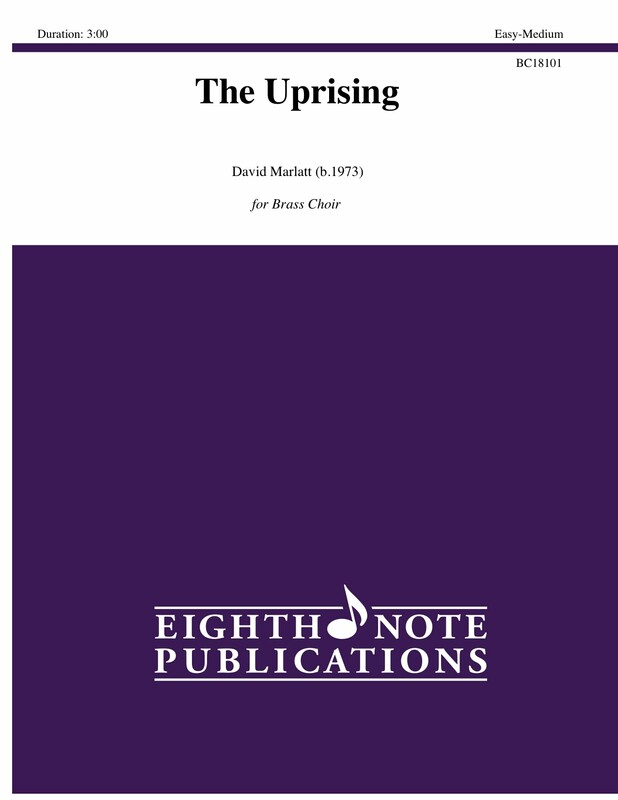 The Uprising is a bold and daring work portraying a group challenging the people in power. This has been staged in 6 programatic sections: The Current Regime is noble and confident in character - perhaps too confident. Next is The Planning - the rebel forces begin planning quietly but with purpose and drive. This builds as The Forces Gather - louder, stronger and passionate about their beliefs. This inevitably leads to Battle! where the forces collide in combat. Short aggressive bursts of sound lead to Victory is Ours where a new order takes their place in charge. Celebration begins and builds to a joyous conclusion.